From November 30th to 3th, the Equiplast International Plastics and Rubber Exhibition was held in Barcelona. 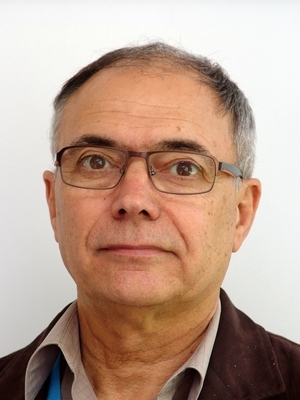 Raphaël Sanchez, what is your assessment of the Equiplast plastic and rubber fair? RS: As this event is mainly directed to the plastics industry, the rubber sector accounted for a much lower share, especially rubber injection. REP’s booth was the only one showing a rubber injection molding machine, and what is more, a latest-generation one. What did you exhibit at Rep’s booth? RS: We presented with the support of our local agent JOSAN the latest machine of the G10 “Infinetly smart” range: the V510Y20. The press was equipped with a mold for test pieces highlighting the benefits of the FillBalancer® process. How about the number of visitors and their reaction to this brand new machine? R.S. : We could state that the V510 was very well received by the nearly one hundred visitors. It was highly appreciated for its generous features, such as the reinforced capacity of the frame in the relation to this size of press: the closing force was increased from 255t to 300t and heater plates dimensions to 630 x 630 mm. Visitors also praised the 21.5" color touch screen with simultaneous display of three pages and intuitive programming. A few words to conclude on the Spanish market and REP’s representative agent? RS. : The quality of after-sales service provided by JOSAN and their staff of five service technicians operating throughout the Spanish territory is a visible ground of satisfaction. The efficient management of spare parts meet customers’ requirements in the Spanish market. This is an active growing market where we spare no effort to ensure that we remain the undisputed leader in the rubber injection field. 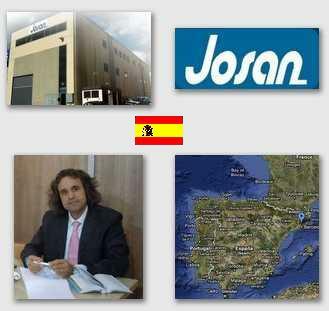 The Barberà del Valles (near Barcelona) based JOSAN company provides expert guidance to Spanish rubber processing companies and is responsible for sales and technical assistance. They have been representing REP for many years. 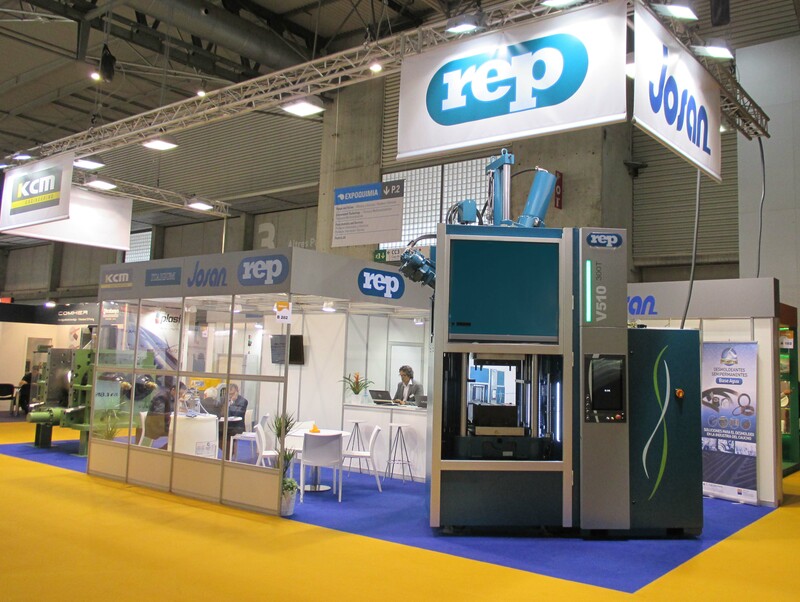 Josan also reconditions injection moulding machines.